The book, How to Live Like a MILLIONAIRE When You're a Million Short was recently honored with an IRWIN Award from the Book Publicists of Southern California as the Best Book on Saving Money & Living Well of 2018. Today the ebook is on sale at Amazon Kindle for 99 CENTS! That adds up to great news for everyone, since now they can learn how to save THOUSANDS OF DOLLARS and enjoy life more all year long for less than a dollar! How to Live Like a MILLIONAIRE When You're a Million Short is a #1 BESTSELLING CONSUMER GUIDE on Amazon. It'a a breezy, information-packed guide that features all kinds of money-saving tips on entertainment, travel, shopping, fashion, restaurants, beauty, health, home décor, and more. Many of the tips include getting things for FREE, such as how to get your hair styled at upscale salons for free, how to get designer clothes for free, and even how to spend six nights at a four-star resort in Spain for FREE! There is a ton of valuable information in a warm and witty style which adds up to a delightful "how-to" book with a humorous flair. How to Live Like a MILLIONAIRE When You're a Million Short is available from Amazon and on Kindle. The 99 CENT SALE will be over soon, so people should order right away. The paperback is also available on Amazon for $19.99 and enables readers to highlight all the useful tips they want to use. It also makes a fabulous gift for Valentine's Day or any day It's the gift that keeps on giving! DIRECT TO 99 CENT SALE -- see link below. Marilyn Anderson is an accomplished author and award-winning film and television writer. She was honored by the WGA as a writer of one of the 101 Best Written TV Series of the past seven decades, and she won a LUMINAS Award for the Positive Depiction of Women in Television and Film. Some of the series she wrote for include Murphy Brown, FAME, Sherman Oaks, and Friday the 13th – the Series. She was on the writing staff of Carol & Company, starring Carol Burnett. Marilyn is the author of several best-selling books, including Never Kiss a Frog: A Girl’s Guide to Creatures from the Dating Swamp, which is published in 10 countries. 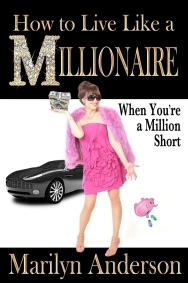 Her newest book is How to Live Like a MILLIONAIRE When You’re a Million Short. The book was recently featured in Forbes and USA Weekly, and it just won an IRWIN Award from the Book Publicists of Southern California as the Best Book on Saving Money & Living Well of 2018. 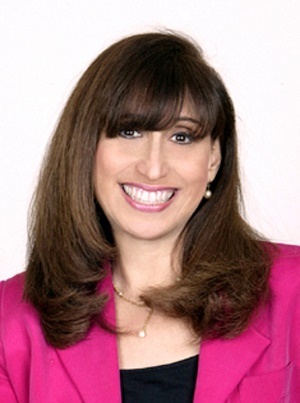 Get E-mail Alerts When Marilyn Anderson -- How to Live Like a MILLIONAIRE Sends news releases.